We offer a variety of services at our Kenora dental office. Your Kenora family dentist offers general dentistry including oral hygiene and cleanings, fillings, crowns and bridges, and more. Your Kenora family dentist offers oral surgery options, whether you need a tooth extracted or wisdom tooth removal. Our Kenora dentist provides non-surgical gum therapy for patients who are experiencing gingivitis, gum disease and other problems. We provide care for patients suffering with TMJ (TMD) in Kenora. Read more to learn about our TMJ (TMD) Therapy options. 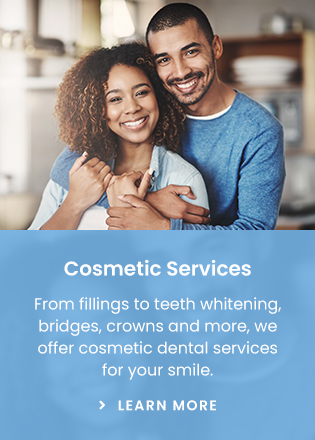 Our dentist offers cosmetic services to whiten and brighten your smile, and even provides options to fill gaps or correct the look of your teeth. Our Kenora dentist at Lake of the Woods Dental Health Centre, loves working with children and offers child-friendly dental services.